Global warming and climatic changes. Küresel Isınma ve İklim Değişikliği. Aksay, C.S., O. Ketenoğlu, L. Kurt. 2005. Global warming and climatic change, (in Turkish). S.Ü. Fen Ed. Fak. Derg. 25: 29-41. Anon. 2007a. How Global Warming Could Affect the Word’s Fisheries. Science Daily. May 17, 2007. Anon. 2007c. Global warming and report about Turkish seas, (in Turkish). http://www.tudav.org/kureselis.htm. Brass, G.W. 2002. Arctic Ocean Climate Change. US Arctic Research Commission Special Publication No. 02-1, Arlington, VA, 14p. Düzgüneş, E. 2007a. Panel on Global Warming and Effects on Fisheries, (in Turkish). 2007. Trabzon. Düzgüneş, E. 2007b. Panel on Sea and Human Duration Global Warming, (in Turkish). 4 June 2007 KTÜ-TZMO, Trabzon. Kerr, R.A. 2002. A warmer Arctic means change for all. Polar Science 297 : 1490-1492. Mcculloch, S. 2006. Global warming threatens fisheries. Times. December 2006. Norcross, B. L., E.D. Brown, R.J. Foy, M. Frandsen, S.M. Gay, T.C. Kline, D.M. Mason, E.V. Patrick, A.J. Paul, K.D.E. Stokesbury. 2001. A synthesis of the life history and ecology of juvenile Pacific herring in Prince William Sound, Alaska. Fisheries Oceanography 10: 42-57. Walther, G.R., E. Post, P. Convey, A. Menzel, C. Parmesan, R.J.C. Beebee, J.M. Fromentin, O. Hoegh-Guldberg, F. Bairlein. 2002. Ecological responses to recent climate change. Nature 416: 389-395. ISNAD Sağlam, Naciye Erdoğan , Düzgüneş, Ertuğ , Balık, İsmet . "Küresel Isınma ve İklim Değişikliği.". 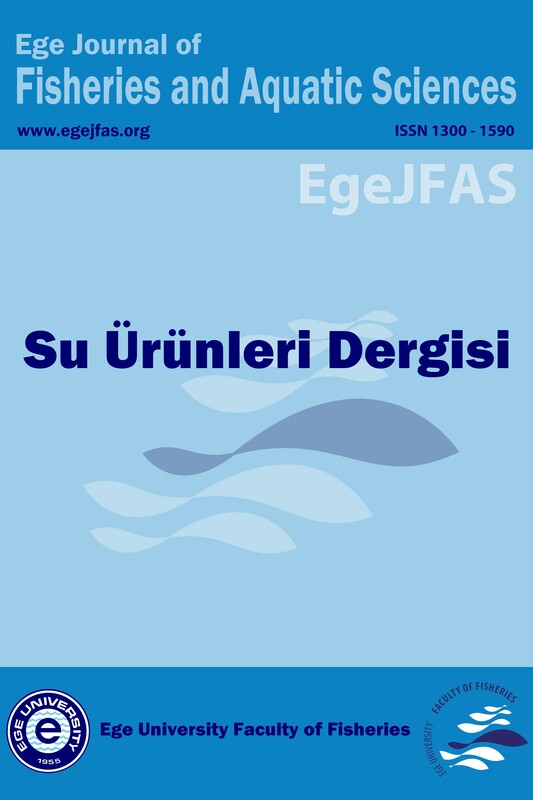 Ege Journal of Fisheries and Aquatic Sciences 25 / 1 (March 2008): 89-94.